This week I sweated and worked and bent over my kitchen island cutting out the little rascaly pieces for the Spinning Stars quilt-a-long. 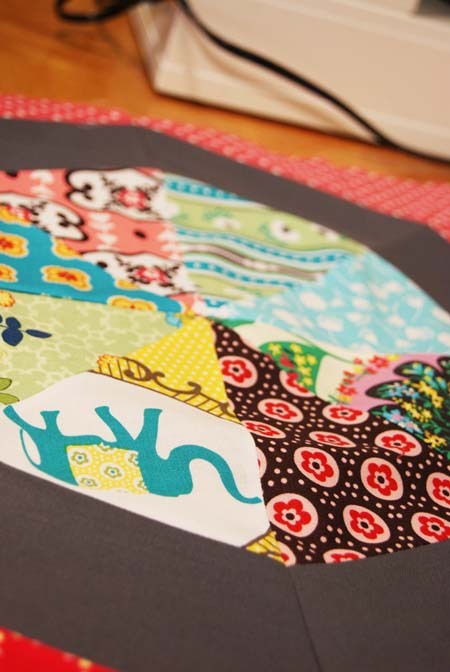 I was pleased that I had so much Peacock Lane left–maybe enough for a baby quilt? (Someone will have to have a girl first.) I was less pleased about how far my pinks went for my C pieces–the long awkward pieces that form the secondary stars in the “background.” My secondary stars will end up a little…scrappier than I had planned. 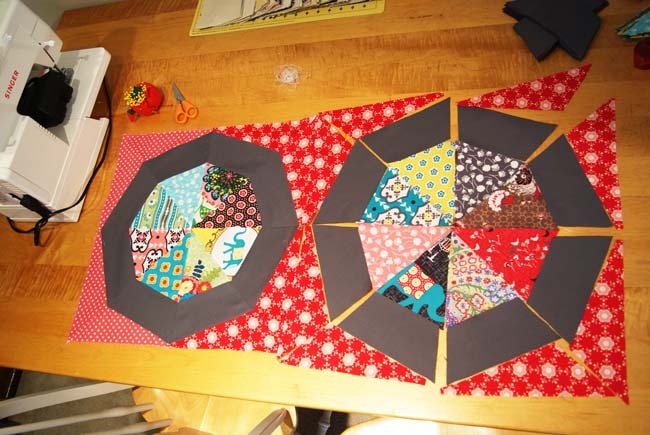 The whole quilt may end up crappier than I had planned. Maybe I was super-careful with my test block, or maybe my for-real fabrics are a slightly lighter and stretchier bunch, but making my first real block just made me want to cry. …when I switch to my “show-off-the-texture” angle, you can see how not-flat the center is. The ring and the pink background lays flat fine, but those triangles in the center are all a mess. I’ve read from someone in the QAL that my steam iron is to blame? Probably so. I just haven’t the heart or the patience right now to unpick, after another 5:30 am toddler wakeup call, complete with theatrical fake-y crying (they learn the fake cry so early!). So now I’m on the sofa with a cookie. That’s a lie. I already ate the cookie. 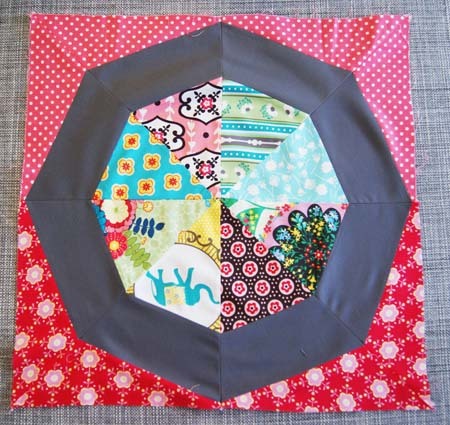 But I am going to give this project a rest until tomorrow, when I’ll either have the heart to get out the seam ripper or the gumption to move forward and live with a little imperfection. Looks less horrible here, right? RIGHT? !